The set displays the signature pink ribbon emblem, the internationally recognized symbol for the fight against breast cancer. 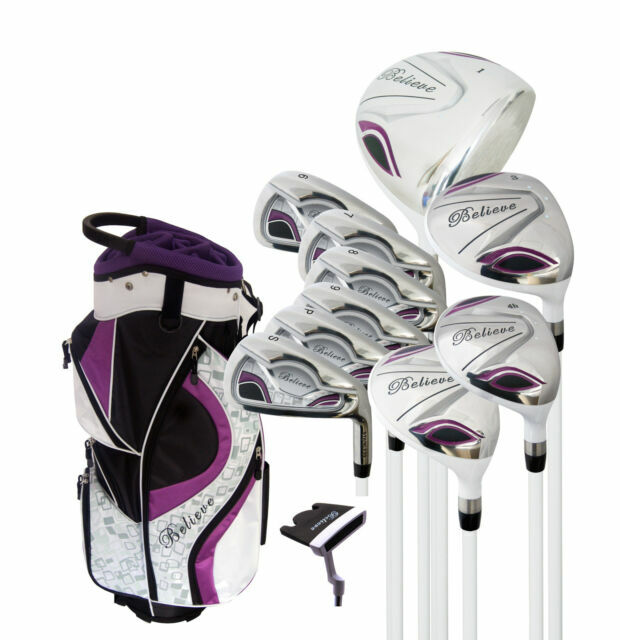 Founders Club Believe Ladies Complete Golf Set. 2 Hybrid Irons to replace traditional hard to hit long irons 6 Stainless Irons with wide sole to launch the ball out of the rough. item 1 Believe Ladies Complete Golf Set - Purple - Right-Handed Ladies Taller +1" -Believe Ladies Complete Golf Set - Purple - Right-Handed Ladies Taller +1"
item 3 Believe Ladies Complete Golf Set - Purple - Right-Handed Ladies Taller +1" -Believe Ladies Complete Golf Set - Purple - Right-Handed Ladies Taller +1"
I'm a beginner golfer and I love these. I'm 5 ft 10 so the regular women's length are not ergonomical for me. These are awesome!